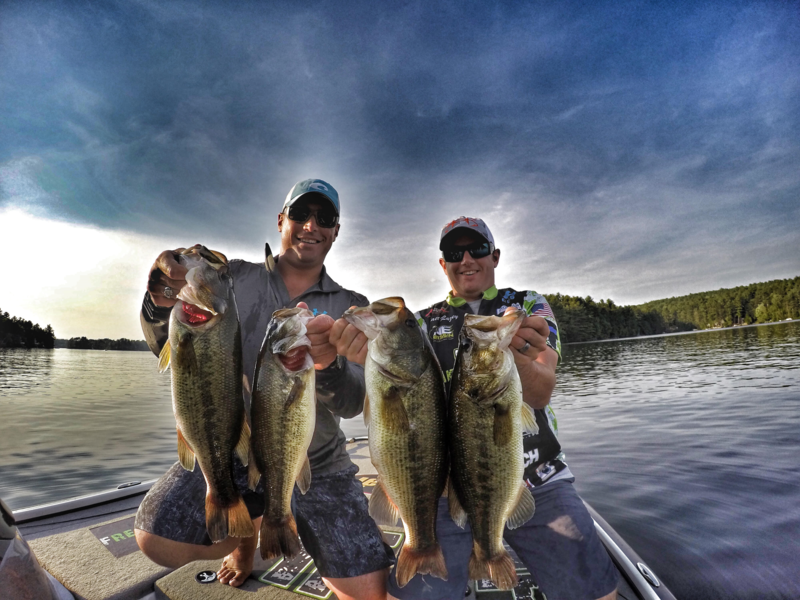 Standard practice says you have to go off-shore and deep for summertime bass. Much like many other things, sometimes going against the grain yields positive results. There are always fish shallow throughout the year; the issue is there isn’t always the “right” fish shallow, especially when you are trying to find that bigger “kicker” fish. One of the few times of year we hit the bank at Freak Finder Fishing is in the summer time post-spawn during the full moon phases. The full moon will bring those larger fish back up shallow for prolonged feeding and will position themselves on steep undercut banks that provide: cover, shade, and an ambush point. Remember we are still talking summertime bass fishing here so the water is going to be warm. Fish are going to need that deep water access to get into more oxygen-rich water throughout the day. Steep, undercut banks are the key. This will allow the fish to easily move into shallow cover to feed and then back out down to deeper water without having to travel out of the area. Like any point, cove, hump, or flat; not all banks are created equal. The ones with hard cover will be best. Look for blowdown trees, lay downs, bushes, even one isolated branch can hold fish. A great undercut bank usually will have some water that runs underneath the shoreline trees. Those shoreline trees even though they are not physically in the water are used by bass during this time. That provide a key shade line for the bass to ambush their prey. If there is no natural cover present; look for a dock that may be on the bank that has deeper water under it. The name of the game is looking for a place the bass can use as an ambush point. When it comes to shallow cover, we get excited at Freak Finder Fishing. 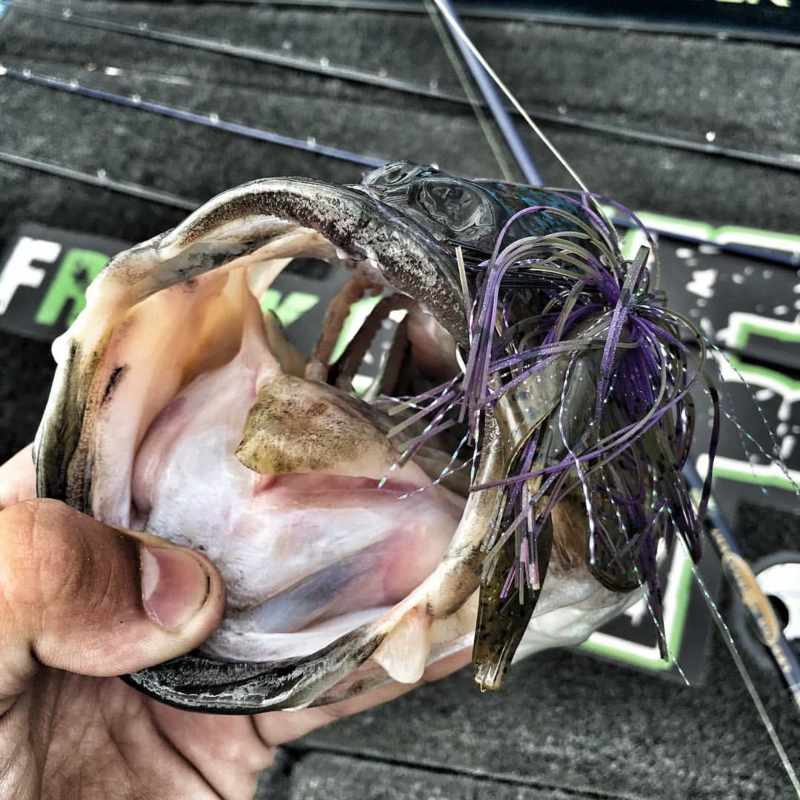 Shallow cover means hand-to-hand combat for us and that means flipping gear and a big jig. This technique requires a no-fuss approach and you need to take out the big artillery to make sure you are not only hooking the fish, but fighting the fish, and landing the fish. To do that properly you need the right equipment. We recommend a Denali N2 “Slop” Rod which is a 7’3” XH (Extra Heavy) rod with an extra fast tip. You need the thicker backbone to maneuver the fish out of the heavy cover. The extra fast rod tip is pivotal to the success of flipping the jig into the heavy cover where those bass are waiting to ambush. The reel is equally important to the setup as well. A 7.1:1 Lew’s Super Duty Speed Spool has the muscle to do the job the right way. It has a larger, deeper spool which will help to hold more of the larger diameter braided line and the drag system is the largest in the Lew’s lineup to hold up to the larger braided line. The braided line is a must to make sure the fish gets back to the boat. All too often in scenarios such as this the fish will attempt to wrap you around cover and head to the thickest part of the shoreline cover. 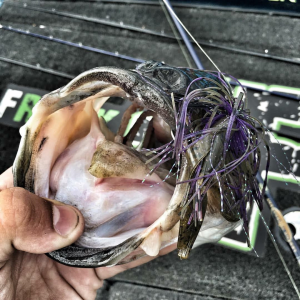 That braid will allow you to get out of any mess and help bring that largemouth into the boat. We like P-Line TCBX-8 65 lb. braid. The TCBX-8 has eight separate strands of braid which makes this braided line more rounded; where conventional four strand braid has flat sides to it. The roundedness of the TCBX-8 allows for smoother travel through the guides and is also quieter coming through the guides as well. Onto the jig. For us, it has been and will always be a ½ oz. Beast Coast Fishing Vanquish Flippin’ Jig. We like pairing this with a Powerteam Lures Craw D’oeuvre trailer. The 97% tungsten jig gives you the feel that you need to detect how the jig is coming through the cover and the bites. Next time you are struggling for the bigger bite or if you are in need of that quality kicker fish, if you find yourself in the scenario described above; go pick up a jig and head to the bank and get ready for that braid to sing through the guides on your flippin’ rod. It’s game time.